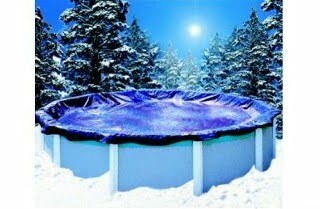 Tarps Plus Blog: Get Your Pool Cover Now! If you are looking for a quick inexpensive solution to covering that pool, your solution is blue poly tarps. Blue poly tarps make great covers. Blue poly tarps make great covers because they keep leafs, insects, dirt, and anything else that might get in your pool. The poly tarp will save you money on cleaning services and cleaning products. The poly tarp is one of the favorites amoung pool owners as it averages a total savings of over $300 a year in maintenance. These Tarps can last years at times which is a huge saving for pool owners. Blue poly tarps come in over 50 different sizes you are bound to find the one you are looking for, just check out http://www.tarpsplus.com/. 1 PURCHASED 2, 3 YEARS AGO AND IT REALLY DID PAY OFF. I RECOMMEND IT.